Gratonite when available is usually in thumbnail sized pieces. This is a more sizable piece and well crystallized. The best were found over 50 years ago and Pasco is the only source for fine specimens. 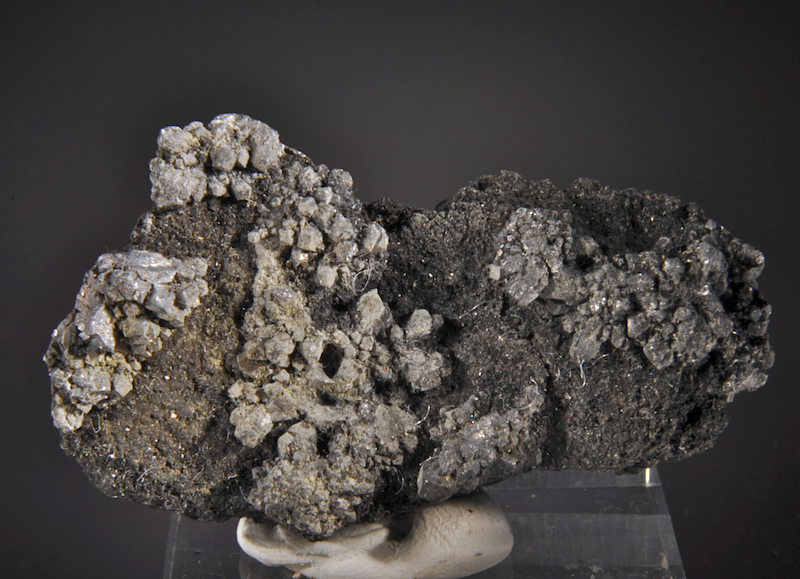 Branching crystal aggregates to 2.5 CM cover most of a sulfide matrix, composed of 3-5mm sized individuals. 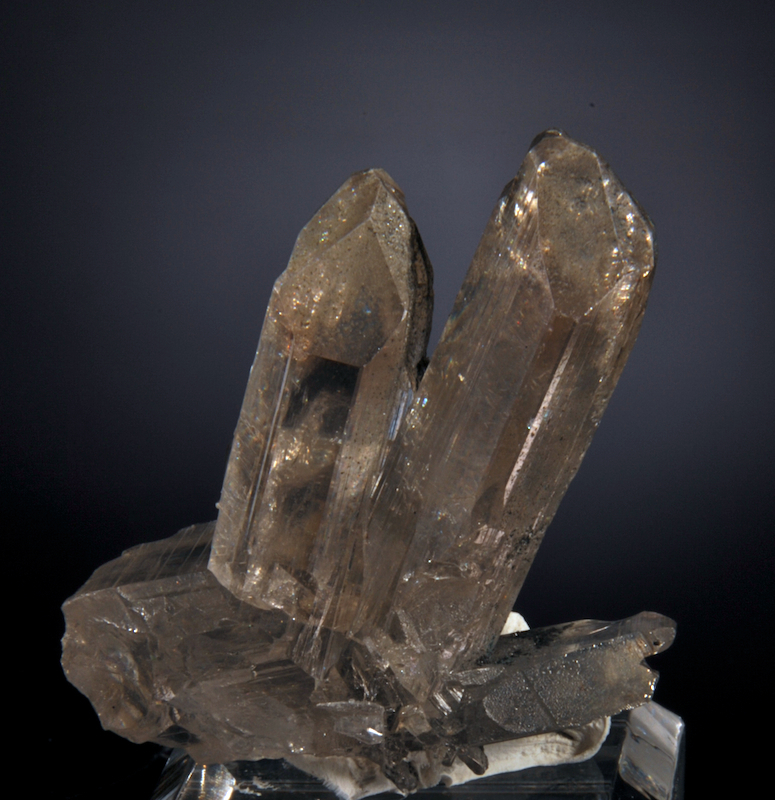 The Gratonite has the dull to slightly lustrous lead-silver color that is classic for these. 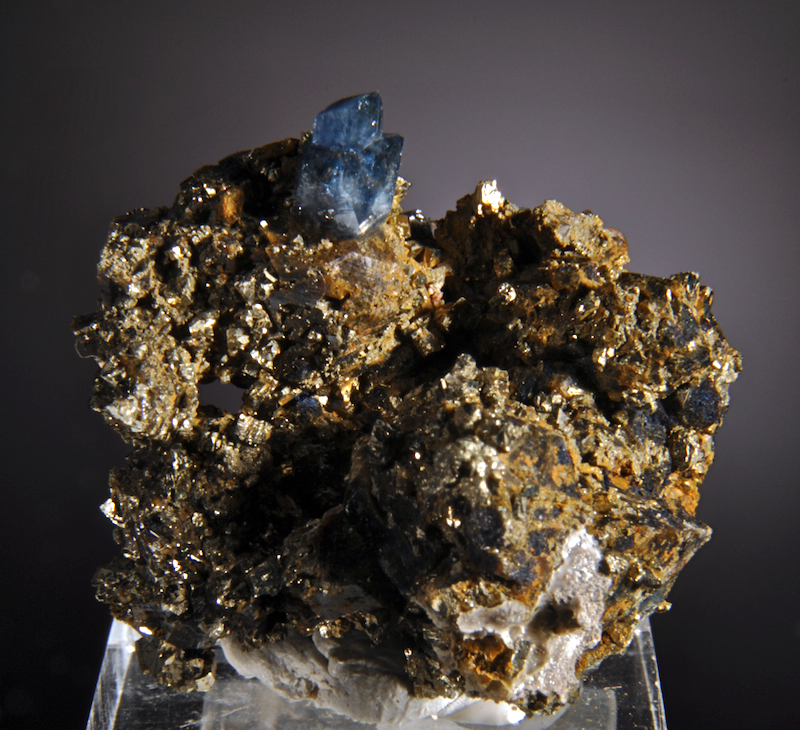 A pretty and complex "mystery" piece, from Schortmann's minerals in the early 1960's. 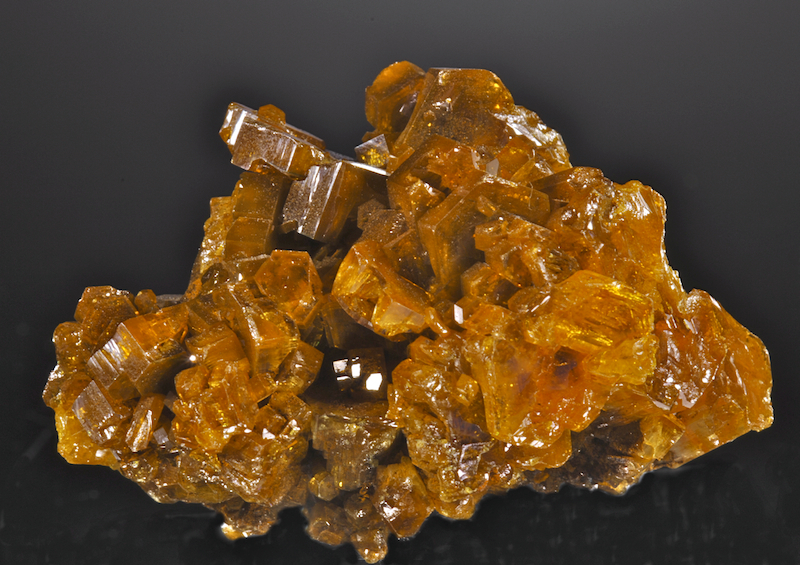 The label locale given is "Eureka, Nevada", which is not well known known for Wulfenite. 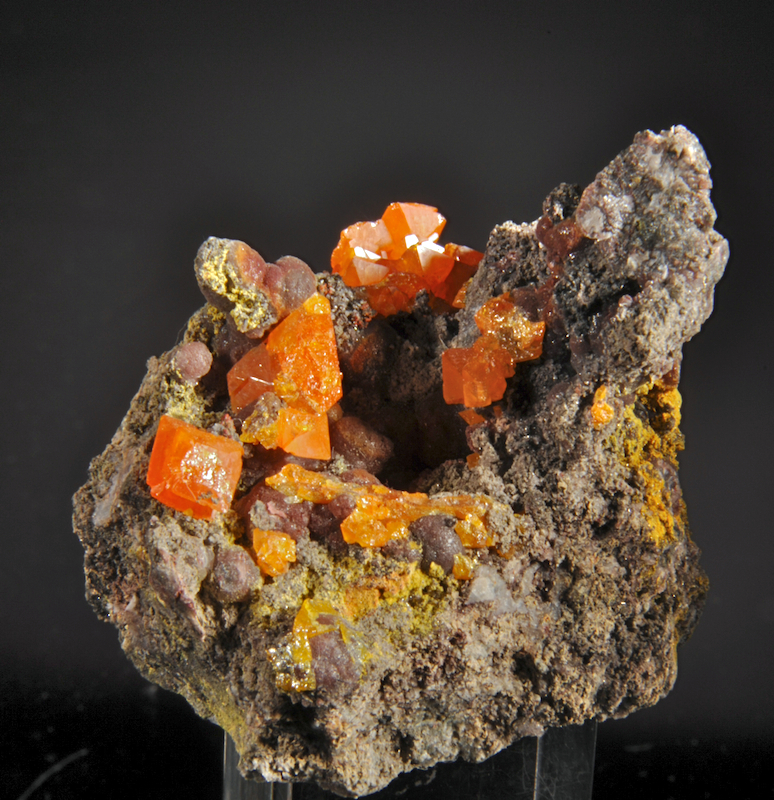 A bright orange to red aggregate of Wulfenite showing several habits, all on a mix of many unusual micro crystals including Mimetite and 3 unidentified species that look like phosphate minerals. Is this a small or lost locality? There are several mines with other Lead secondary minerals in Eureka. This is different from most all Nevada Wulf. I have seen too. Schortmann's were very careful about correct localities and they did get their stock from many of the great prospectors/collectors of the day. For wulfenite collectors or those who like doing research on oddities, this is a very intriguing specimen. A rare old piece (pre-war) from a classic alpine cleft locale, this is rather different from more recent finds. The matrix is a series of parallel quartz crystals covered with a druse of sparkling clear Flourite octahedra that are included by greenish chlorite. There are six bigger pale pink Fluorites scattered on the face, the largest 1.4 CM. Undamaged by naked eye, even at 20x magnification there is almost no damage to find. A relatively affordable and rather different Alpine Fluorite specimen. A small specimen but with unusually large, perfect crystals of purple Creedite. An old (pre 1980) specimen from Santa Eulalia, that is now almost impossible to find in any quality. Quite different and much rarer than the orange Creedite from Durango, good Purple Creedite has only been found in crystals over 1 CM in two locations, Kazakhstan and Santa Eulalia. At about 2 CM long these are huge for the specie, undamaged, have great form and displays well from all sides. 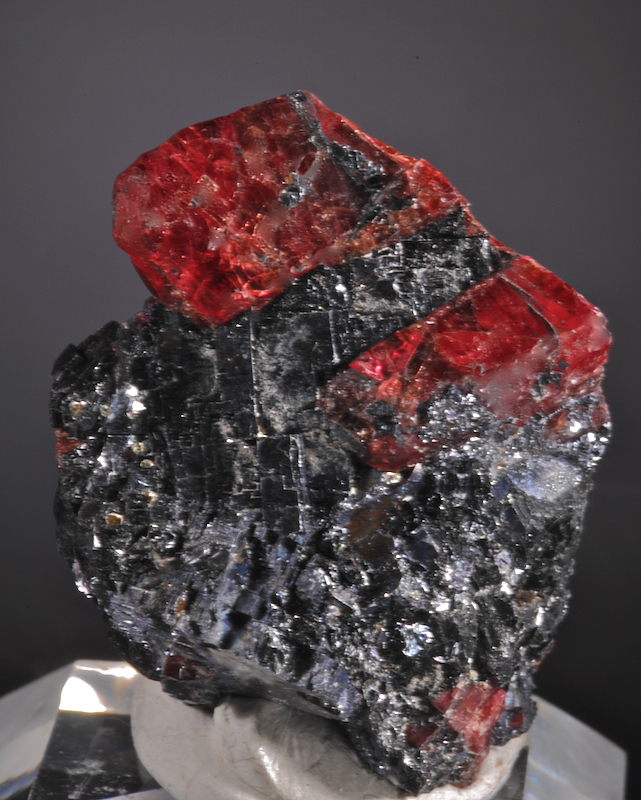 A very showy, dense cluster of glassy Mimetite crystals with minimal matrix. This is the quality of Mimetite that made Pingtouling world famous. 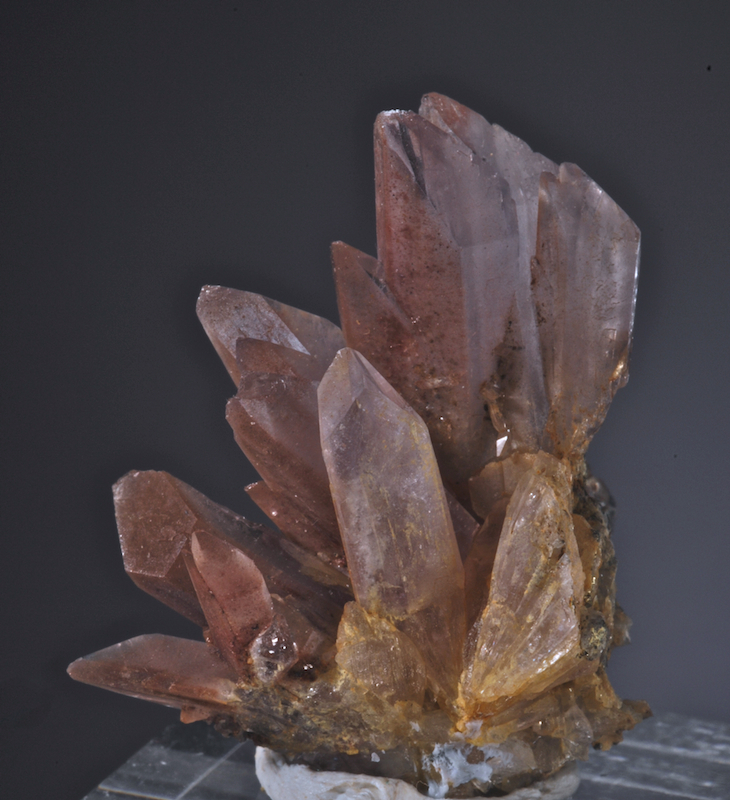 The individual crystals reach 1.6 CM and are quite transparent with a rich yellow to orange color range. In very fine condition damagewise, some slight chipping can be found on the "underside" and is not visible from most views. 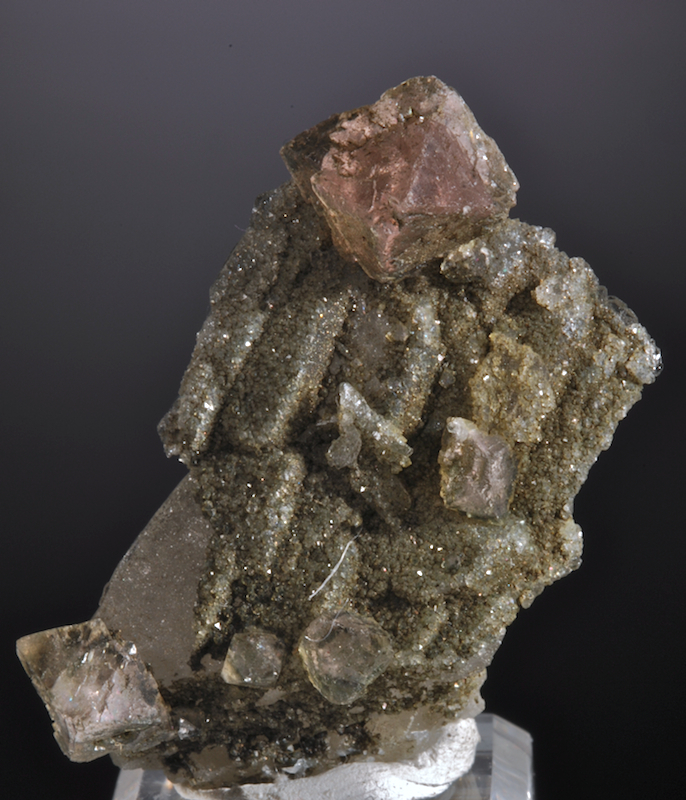 This find was finished by 2003, and is considered (along with Tsumeb's gem pocket) as the worlds best for the species. Displays well from several sides. Good examples like this one are now quite uncommon.